MADRID | The new team in power in Spain never thought they could one day being mercilessly mauled by markets as the previous government was. Spanish Conservatism was supposed to stand as a safe harbour in a euro zone vastly dominated by fellow political parties. Swift implementation of sweeping reforms, coupled with an extremely tight budget, was expected to act as a powerful lever to winch up ailing credibility. And yet, Madrid has found itself badly hit by a bout of severe instability. Disbelief has soon be followed by angry bitterness. It resents the European Central Bank and Brussels for their unhelpful hints undermining efforts so far taken. 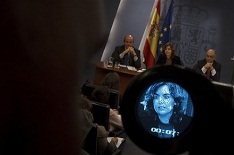 Shooting at the Spanish economy by prominent leaders has come as an appalling shock. Lack of active support from Germany has led to open acrimony. Following a stern request for help, the Eurogroup is set to meet this week. It is meant to convey a message of unwavering faith in the Spanish ability to overcome current difficulties without resorting to a rescue package. But what matters is whether markets will share this assumption. You can guess any official statement far from convincing them might lead to growing suspicion. Especially if they have good reasons to remain distrustful as no positive delivery is at bay. The pronounced downturn is leading to unsustainable unemployment levels, will worsen banking balance sheets and announces a likely deviation from deficit targets. Investors already discount that cleaning up retail estate bad loans cumulated at last year close will prove largely skimpy to address a sharp deterioration in financial industry inner solvency. But raising fresh capital when prospects look so gloomy might involve massive public support propelling debt into perilous territory. They have also shown disappointment at a budget that falls short of providing the expected deficit reduction. Tax increases, in particular VAT, were expected to anchor the expenditure gap. Instead they have been presented with a bunch of advanced corporate payments that will be mostly off-set next year. The 3% goal in 2013 seems out of reach unless the economy achieves a robust recovery, a most hazardous bet these days. 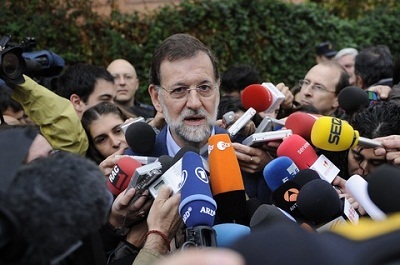 And yet, instability does not only stem from mistrust in Spanish performance. It is also fuelled to a considerable extent by fears the euro will not resist the current dip in overall activity. Unlike the swift reaction to the 2009 crisis, Europe doesn’t show now a similar determination to curb the incoming recessionary pressures. Bound to unmitigated austerity, regardless of the economic outlook, the prospect of the common currency breaking down becomes a plausible outcome. Solemn oaths to stick together sound rather hollow when money intended to act as a firewall against potential trouble only protects small size members. Thus, the present hikes in Spanish and Italian risk premium largely mirror the growing unrest over the common willingness and ability to keep both countries and the euro zone firmly on shore. 1 Comment on "Rajoy’s bitterness at being treated like Zapatero"
…Y en lugar de enfrentarse a Argentina por una empresa PRIVADA, por què Rajoy no planta cara a Alemania por el bienestar de todos? Y de paso que se cuide el gordito, pues si el Rey lo ve desnudo y lo llega a confundir con un elefante….